The Medical Center offers a wide variety of pediatric medicine services. Pediatric services describe any sort of medicine involved to treat an individual under the age of 21. Different doctors are necessary for infants, children, and adolescents because these patients are not merely small adults. There is a dramatic difference in physiology, psychology, and metabolism, and it is necessary for a child to see a physician who understands these differences and treats them accordingly. A pediatrician often serves two separate patients: the parent and the child. It is important for a pediatrician to be able to not only treat the underlying illness of the child, but also to inform and educate the parent on the child’s health milestones. These milestones can include fever control, vaccination, disease processes, and puberty. Increasing health literacy of parents is a major part of the pediatrician’s job. There are many different types of pediatricians working in inpatient or outpatient offices around the Medical Center. Inpatient offices may include hospitals, emergency rooms, or other long-term care facilities. Outpatient facilities like regular doctors’ offices offer the chance for a physician to grow a long-term relationship with a patient and their parent. This makes it easier for the patient to speak openly about life milestones with the physician, but also makes it easier on the physician who can understand a patient’s medical history, recurring conditions, and family life. 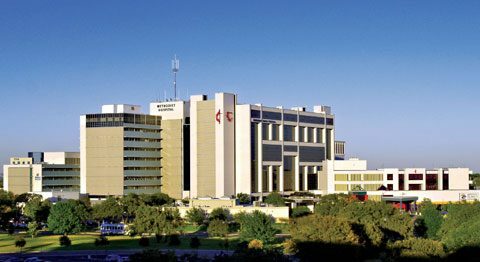 At the Medical Center, you’ll find a variety of pediatric services to meet your every need, from the Methodist Children’s Hospital, which specializes in a wide variety of pediatric services, to pediatric oncology treatment and research at UT Health San Antonio. Many of the institutions in the Medical Center specialize in Pediatric Services. The hospitals listed below are not inclusive of all the institutions that provide this service.